Join in the joy and excitement of the holiday season. 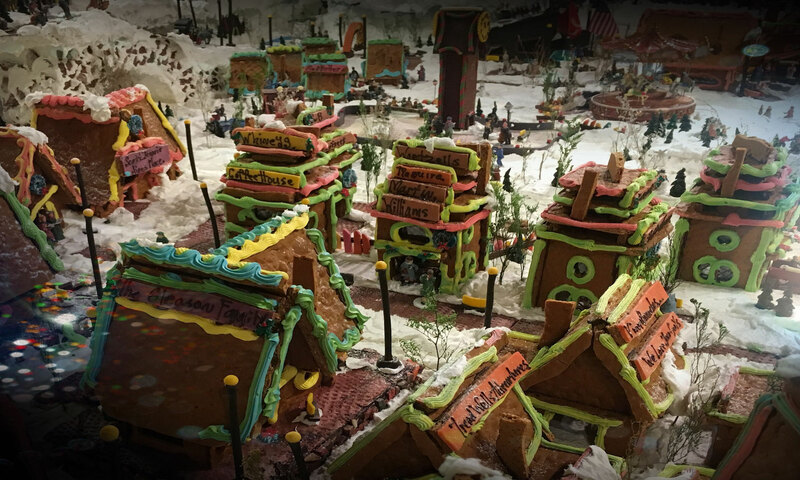 Share your favorite photos & videos of the Gingerbread Village! Step 1: Fill out the form located below titled “Leave a Reply”. Step 2: Select (Choose File) button “Attach your photo or video”. Step 3: Leave a Comment “Holiday Phrase”. Step 5: Select the (Post Comment) button. Note: Your name and holiday comment will be posted with your photo.